. 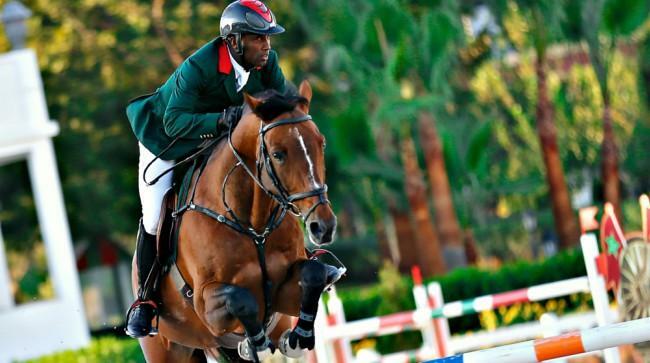 :: Morocco Royal Tour : CSIO3* Rabat The Nations Cup, highlight of the Moroccan season ::. This Thursday, at the beautiful federal installations of Rabat / Dar Es Salam, the Morocco Royal Tour resumed to competition. 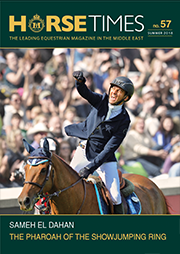 The huge top-quality fibrous sand will host two highlights of the season, very expected by the Moroccan public who is continuously more interested in the equestrian sports: the Nations Cup and the Grand Prix counting for the FEI Longines world ranking and for the Longines FEI World Cup Arabian league. It was a quick warm-up for all riders yesterday with a CSI1* class and two CSI3* preparing to today’s Nations Cup in which eight teams will be participating. Under the watchful eye of Charif Moulay Abdellah ALAOUI, President of the Moroccan Royal Equestrian Federation, the draw put Switzerland Pius Schwizer and his teammates as the opener, toughest place. Jerôme Guéry’s Belgium, titleholder, inherited fifth place as France will go seventh. Morocco, host to the second edition of the Nations Cup, will go in third. Class will begin at 5:30 (local time) and the second round will battle during the night.